My colleagues at Notebookcheck have just finished the full review of the ASUS Transformer Book T100HA which is a 2-in-1 PC that I and many other people here have been interested in. It takes the successful Transformer Book and makes a big step forward with a new design, new port set-up and even offers a 4GB RAM option for $299. I have requested a T100HA for video review and I hope that it comes soon but let me highlight some points from the Notebookcheck full review that just went live. 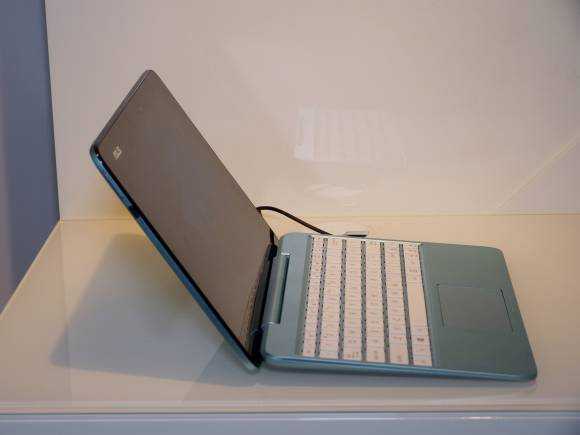 ASUS Transformer Book T100HA full review now available at Notebookcheck. 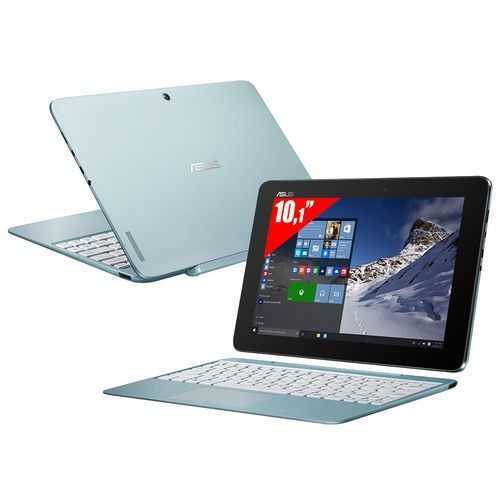 ASUS Transformer Book T100HA. Detailed hands-on video. 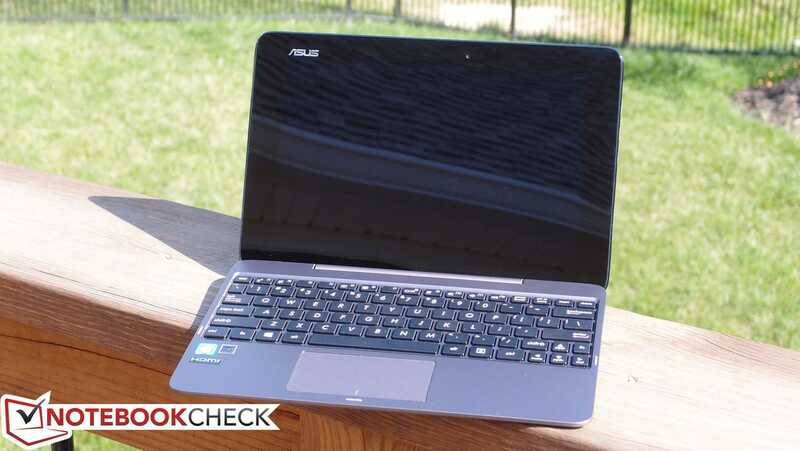 The ASUS Transformer Book T100 gets a good upgrade with the T100HA. Atom X5 and a 4GB RAM option move it into more serious territory and USB-C is going to be helpful but there’s little change in the working fascia. Will ASUS be able to get away with a 1280 x 800 screen in 2016? Check out the video below. The ASUS T100HA has us quite excited. Not only is this 2-in-1 the latest in the successful ASUS T100 Transformer Book line but it’s coming with the new Intel Atom Cherry Trail X5-Z8500 CPU and a 4 GB RAM option. The T100HA also includes USB-C but we’ve yet to confirm that it supports anything other than USB 2.0 data. Delivery could be as early as 2 weeks in Europe. Update: Delivery soon in Germany. Hands-on video. Here. ASUS T100HA 14-hour battery life claim looks suspicious. 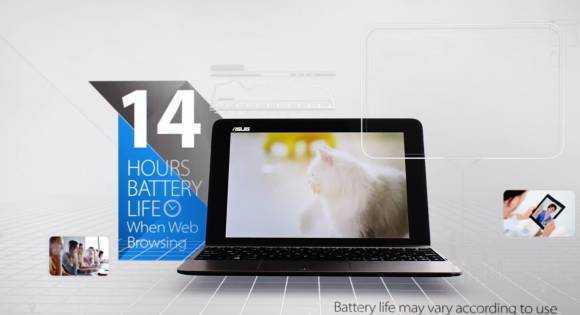 “14 hours battery life when Web browsing” is the claim made by Asus for the new Atom X5-based Transformer T100HA. Given the size and weight of this tablet (the keyboard doesn’t have an extra battery,) that’s huge. So huge that I don’t believe it. I’d like to believe it but my history of testing PCs based on Intel Atom processing platforms tells me to question it. I’ve done that below. 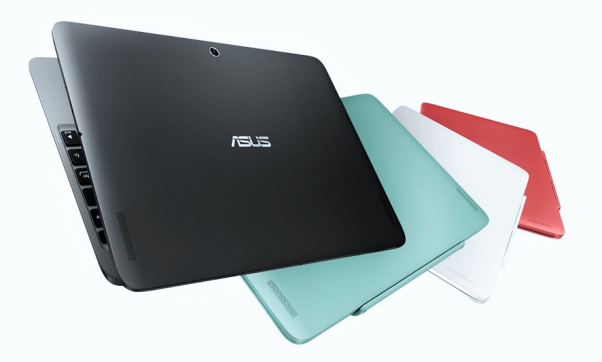 Opinion Comments Off on ASUS T100HA 14-hour battery life claim looks suspicious. ASUS Transformer Book T100HA hands-on video reveals $279 price. I’ll let you into a secret. I’ve got official access to the Mobilegeeks team collaboration system and I can see what’s coming next – and it’s the first English Transformer Book T100HA hands-on video with a secret price reveal! The Transformer Book T100HA was the only significant product launched (for us) at the Asus press event this morning and it takes what is probably the most popular Windows 2-in-1 so far and updates it with an Intel Atom X5 Z5800, a USB-C port, USB 3.0 on the keyboard dock and a full 64-bit Windows 10 OS. 4GB RAM and 128 GB storage are options that will delight many of you. There’s a new metal casing on the rear and a few other design changes.